President Trump addressed Congress in his first State of the Union. The State of the Union address began with an optimistic intro reiterating the President’s message of making America great again for all Americans, and recapping some of the events that the nation faced in the last year including the Las Vegas Shooting, and Hurricane Harvey. The Trump we saw in tonight’s State of the Union was a more stoic and by the books speaker, a departure from some of the off-the-cuff remarks the President has made in the past. The unconventional president provided a rather conventional, albeit powerful State of the Union Address. The President also made an effort to highlight the controversy regarding standing for the national anthem, an issue that saw some Democrats visibly disturbed during the speech, including Nancy Pelosi and Bernie Sanders who both remained seated while other members stood to applaud. Members of the Congressional Black Caucus wore black suits, and some of the women in the Black Caucus wore brightly colored shawls they planned to wear in solidarity with Democratic women supporting the #MeToo anti-sexual harassment campaign. “The State of the Union is strong because our people are strong”, the President stated. “We have endured fire, flood, and storms, and solidified the steel in Americans’ spine”. The President also gave nods to Coast Guard and Firemen who assisted with the aftermath of Hurricane Harvey, and the fires in California. Compliments were given to “The Legend from Lousiana” Steve Scalise, who earlier this year was the victim of a shooting in DC. President Trump praised the job growth in the past year, citing 200,000 new manufacturing jobs, and citing rising wages, low unemployment and low unemployment in the Hispanic-American and African-American communities. As expected, infrastructure investment was a major part of today’s speech, with the President asking for $1.6 trillion in additional state, local and private funding to devote toward roads, bridges, and other infrastructure. “I am asking both parties to come together to give us the safe, fast, reliable, and modern infrastructure our economy needs and our people deserve,” the president stated. The President’s infrastructure plan hopes to leverage federal spending with state and local resources as well as public/private partnerships to bolster the development of our infrastructure including reforming the permit approval process to reduce the process to 2 years or less to “rebuild our building heritage”. “Americans are dreamers too”, the President remarked regarding his immigration plan. The four-part plan gives a path to citizenship for the 1.8 million children and young adults who were a part of DACA, and creates a 12-year plan for individuals who meet work, and education requirements to become citizens. The second part of the plan secures the border through the construction of the wall. The third part of the plan involves reforming the visa system to make a merit-based immigration plan. The fourth pillar of the plan is to end chain migration into the United States. The President stated that he wants to end the Defense sequester, and increase funding to the military and touted the recent victories against ISIS. The President spoke of continuing operations in Guantanamo Bay to detain captured terrorist operatives, a reversal of a directive from President Obama to shutter the camp. Another guest to the address was a former North Korean citizen, Ji Seong-Ho, a former refugee, amputee, and torture victim who now broadcasts information to North Korea from Seol. “Finally, we are joined by one more witness to the ominous nature of this regime. His name is Mr. Ji Seong-ho.” The President stated, as he told the story of turmoil Seong-Ho took to escape North Korea into China, his capture and torture by the North Koreans, and his eventual escape. “It’s the people who are making America Great Again” was among the final comments of the speech before the President closed his address. Overall the President gave a powerful address that hammered his key policy points on the economy, immigration, foreign policy, and paying homage to our service members, and like other SOTU addresses before him aimed to spur bipartisanship and cooperation, and unity while also showcasing his administration’s policy objectives. The address also included several powerful emotional testimonials from service members, and a defector from North Korea which served as rhetorical tools to invoke pathos and ethos from the crowd. Interestingly, throughout the address Democrats including Bernie Sanders, Nancy Pelosi, and members of the Black Caucus seemed visibly disturbed, not standing for some of the ovations, or giving muted or unhappy facial expressions. After the State of the Union, Joe Kennedy III from Massachusetts gave an address where he described the State of the Union as hopeful, and also criticized the administration’s take on immigration policy, stating that the administration is “turning American life into a zero-sum game”. Kennedy also included a message in Spanish, “You are part of our history. We are going to fight for you, and we are not going away”. 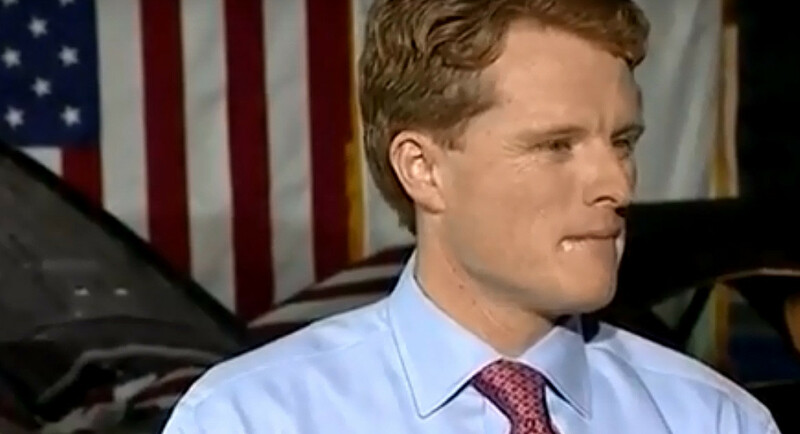 Comically enough, it seemed to some that Kennedy was either drooling or wearing shiny lip balm, something that distracted from his overall message. Some including Linda Sarsour, echoed the sentiments of Kennedy and considered the SOTU address to be xenophobic, while the CATO institute and libertarian institutions praised some aspects including economic policy and foreign policy, but criticized the Wall as a border enforcement strategy.